Erik Roesink, general manager at NX Filtration, welcomes representatives from Grundfos and Novozymes. When a Dutch filtration specialist used the HelloScience platform to submit his ideas about integrating enzymes into membrane technology, he caught the attention of water and biotech experts. The resulting collaboration could see a sustainable solution to remove micro-pollutants from water streams. Erik Roesink is general manager at NX Filtration, a Dutch company that specialises in membrane technology. He had responded to a request for water-related ideas to be submitted to HelloScience – an online collaboration platform for sharing ideas. The idea attracted the attention of the two Danish companies behind HelloScience and after discussions with a number of ideas' contributors and a careful review, Erik’s idea was selected as the winner of the HelloScience Innovation Award. The idea had also attracted the interest of biotech experts, Novozymes and water technology specialists, Grundfos. Both companies saw the potential for radical new advances in the field by combining solutions from NX Filtration, Novozymes and Grundfos. HelloScience was founded by a small, cross-disciplinary team from Novozymes in September 2017. The original idea behind HelloScience was to create a website community where Novozymes and its partners could accelerate promising ideas which could contribute to achieving the UN’s sustainable development goals. Grundfos joined HelloScience in December 2017 and together the two companies agreed to put a strong initial focus on sustainable development goal 6, which targets the global challenges related to water. HelloScience acts as a place for knowledge sharing, access to technology, mentorship, microgrants and partnership opportunities. It provides everything that is needed to turn the best ideas into solutions. Novozymes has high ambitions for the future of HelloScience and hopes it will become the preferred place for people with good ideas to be recognised and for those ideas to come to fruition. It was the HelloScience platform that provided the initial point of contact between NX Filtration, Novozymes, and Grundfos. Erik Roesink’s idea, which was in its early stages, created a lot of interest from Novozymes and Grundfos and the two companies made contact with him to identify possible ways they could collaborate and take his ideas forward. NX Filtration creates nanofiltration membranes that can reject micro-pollutants. 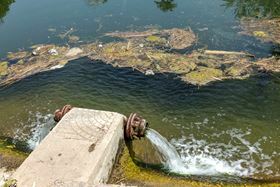 However, when filtration occurs, it creates two streams, one of which contains a high concentration of micro-pollutants. The first stream is a filtrate/permeate which is free of micro-pollutants and can be used for industrial applications and drinking water. He added: “Grundfos is building a demonstration plant where the three companies are working to validate the effect of the enzymes and looking in detail at how they could remove micro-pollutants from contaminated water. Grundfos is currently exploring the opportunities available within its partnership with NX Filtration and Novozymes and is working with them to test the hypotheses.” Although the company has not yet decided whether it will pursue this solution commercially, Mr. Nielsen said it is determined to find better water treatment solutions and bring them forward to make a significant impact on global water challenges. The project is still at an exploratory stage and part of NX Filtration’s input is its knowledge of the removal of micro-pollutants from municipal effluent. The company is looking at questions such as, what are the typical compounds in this situation, what is the concentration and what might we expect from the enzymes working in this situation? 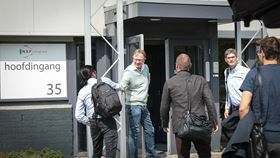 “The first laboratory tests with enzymes and micropollutants are completed and look very promising,” said Erik Roesink. “Early next year, in collaboration with Grundfos, we will start pilot tests to evaluate the combination of nanofiltration membranes and enzymes at a wastewater plant in Denmark.” Once the results from the first pilot are available, there could be a larger scale installation for treating municipal effluent in operation by the end of 2019. NX Filtration, Grundfos and Novozymes are part of an explorative collaboration.